The Valerie Cordova Memorial works with the New Mexico Cancer Center Foundation to lessen the financial burden of individuals who are battling uncommon types of cancer, while memorializing Valerie Cordova’s life, the values she lived by, and the courage with which she faced her bout with a rare form of cancer. Valerie lost her battle with cancer on September 25, 2013. Valerie gave all she had in her fight with this disease. 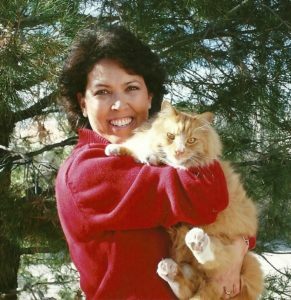 In the last years of her life she continued to live life to the fullest and started on what we call her whirlwind bucket list. She went on a hot air balloon ride, she traveled to Hawaii, Washington DC, Ft. Myers, Florida, and generously paid for all 17 of her immediate family members to go with her on a cruise of a lifetime to Alaska. She remained active in her church, particularly tending to the high school youth, mentoring them and working tirelessly with the Life Teen program. 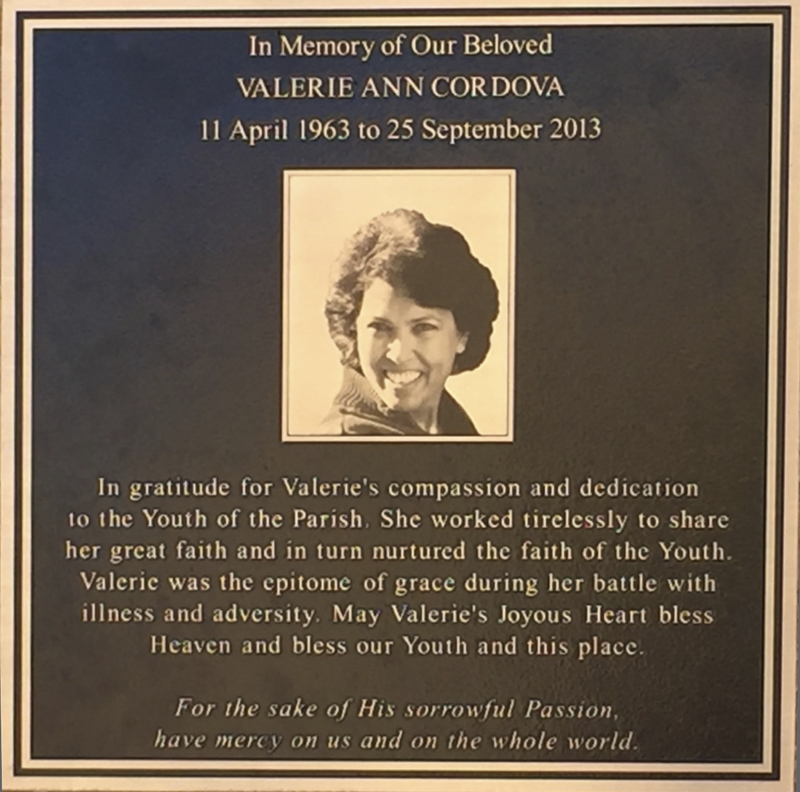 She has been commemorated for her work with a memorial plaque in the prayer garden at St. Therese of the Infant Jesus Parish in Albuquerque, New Mexico. 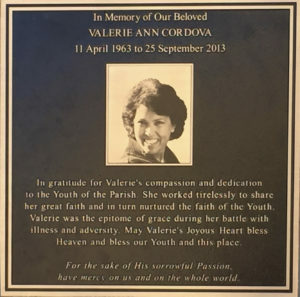 All throughout Valerie’s life her concern was always for others and helping others. She stated many times during her illness that she would like to have some kind of mechanism to help other cancer patients pay for non-medical expenses. The day to day living expenses. She experienced how hard it was to not be able to work, to have to travel for treatments, surgeries, etc. and still have money to make her car payment, to pay for gasoline, groceries, and utilities. She had a holistic approach to her treatment and received Reiki and acupuncture treatments and believed whole heartedly that these treatments were essential to her well being. We are now fortunate to be able to help Valerie realize her dream. By starting this Memorial for Valerie as part of the New Mexico Cancer Center Foundation, her wish to help others will come to fruition.